In this last couple of years, I have seen Dr John Kelly speak a few times and I am always impressed with what he has to say. I want to share a few ideas he has brought up and to begin with, I’d like to share his ideas about the language we use to describe addiction problems, both as lay people and professionals. 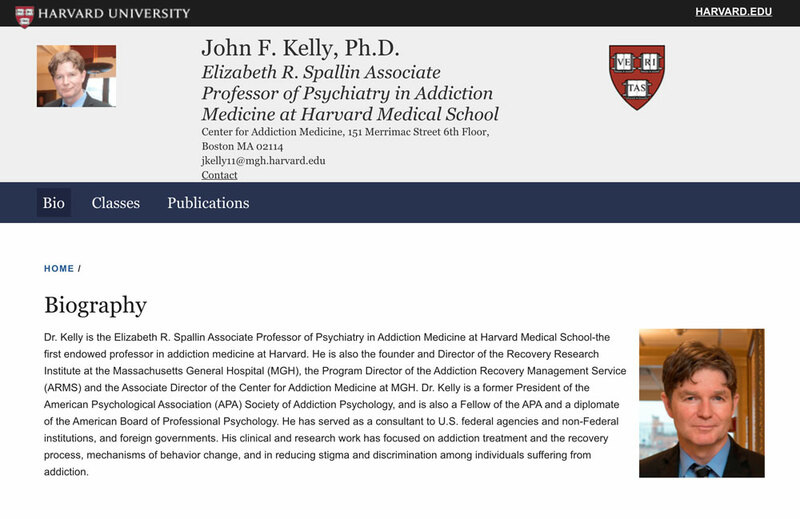 He has been doing, collecting and discussing a huge range of research relating to addiction and I have seen him speak at many conferences here in Europe in the last couple of years. I have re-edited a video interview Dr Kelly gave to Drugfam to try and highlight his key ideas. Firstly he challenges our current use of the word “abuse” when describing problems with addiction or alcohol. He points out that this term has negative connotations which will bring about negative and punishing attitudes to people who have problems with addiction. Next, he asks us to use “person first” language. In other sectors of mental health people no longer talk about ‘schizophrenic patients’, or ‘depressive patients’, they talk about patients with schizophrenia or with depression. We should be doing the same in the field of addiction but it’s amazing how ingrained and intractable this has become. Finally, he challenges our field’s use of the terms “clean” and “dirty”. This is so common when we are describing drug testing. We don’t talk about clean or dirty diabetes tests, so how has this vernacular slipped so unchallenged into our common usage in the field of addiction? This entry was posted on Thursday, March 1st, 2018 at 11:10 am	and is filed under Addiction, Blog News, Psychology, Research. You can follow any responses to this entry through the RSS 2.0 feed. You can leave a response, or trackback from your own site.